BDSwiss is one of the largest European Forex and CFD brokers; it is operated byBDSwiss Holding PLC, registered in Cyprus. BDSwiss is one of the most trusted names in CFD and Forex trading. Since their inceptions, BDSwiss has featured hundreds of asset CFDs and currency pairs. More recently as cryptocurrencies like Bitcoin and Ethereum have revolutionized money as we once knew it, BDSwiss has added these and other coins to trade in currency pairs. There are many BDSwiss reviews out there which explain the platform as a way to get profit on equities value fluctuations. This BDSwiss review is meant for the crypto trader. We’ll emphasize the ways that BDSwiss excels in performance, security, and trading features for the crypto fanatic. All this and more in the full BDSwiss review below! BDSwiss was founded in 2012, back when you could buy an entire Bitcoin for about $10, sometimes less. Cryptocurrencies weren’t yet integrated into BDSwiss, but the company nonetheless quickly made a name for itself in CFD and Forex trading. The company is known for its ease of use, straightforward deposits and withdrawals, and the sheer variety of assets and currencies it allows its users to trade upon. What Are CFDs and Forex? CFDs: A CFD is a “Contract For Difference”. If a BDSwiss account holder were interested in Bitcoin, they would think about Bitcoin’s present value. The BDSwiss user would then decide if they thought Bitcoin’s price would go up or down over a specific time period. The CFD lets the user bet funds that the price will have changed in the chosen direction when the time period runs out. When the contract’s time period expires, the actual price will be compared to the price action anticipated by the user. If the user guessed that the price would rise, and it actually rose (or if the user thought it would fall and it actually did fall), then the user would receive funds based on how much money was locked into the contract. Losses are determined the same way, if the price didn’t change as hoped. Forex is very similar, except rather than speculating upon the price of a single asset, the user is considering the price relationship between two currencies. If the user thought that Bitcoin’s price would increase relative to the United States Dollar, for example, a Forex contract would be made. Deposits, earnings, and losses would be determined just the same way as with CFDs. Why Use CFDs and Forex At All? Some readers who come to this BDSwiss review won’t understand why people even use CFDs. The big draw, it turns out, is leverage. It’s possible to make enormous gains with CFDs, without spending all of the money you’d need to buy the actual cryptocurrencies you’re interested in. At the time of this writing, you’d have to pay $18,000 to buy a single Bitcoin. But you could trade on the price fluctuations of one Bitcoin with only $1800, because BDSwiss allows you to trade with 10:1 leverage with CFDs. With Forex, the price difference would be much wider, as 400:1 leverage is allowed in some cases! We don’t recommend that new users jump into the deep end of leveraged trading without experience, which is why there is a BDSwiss demo account. We’ll discuss this more when we get to information on the BDSwiss login. For now, just remember that it’s much better to learn CFD/Forex trading strategy with a BDSwiss demo than it is to risk your hard earned cash without much knowledge or experience to back it up. Creating an account with BDSwiss is pretty simple and should be familiar territory for anyone who has used the internet. Nonetheless, we’ll cover the salient points here. Step 1: Go to this BDSwiss login page and input the required information. Step 2: Select how and how much you would like to fund your account. Step 3: Make the deposit. This will take a few minutes to arrive. Once your account is funded you’ll be able to start trading (see BDSwiss Review Part 2). That’s all there is to it. We love how easy it is to create a BDSwiss login, fund the new account, and start BDSwiss trading. You can likely figure out the rest on your own, but we’ll still give you the details below just in case you have any questions. By now you’ve completed your BDSwiss login, waited for your account to be verified, and funded your account with your chosen payment method. Now it’s time to trade! Well, that’s not exactly true if you’d like to get a bit more experience before you risk your money. That’s why we’ll start with an explanation of the BDSwiss demo account, available at your very first BDSwiss login. Starting a BDSwiss demo account couldn’t be easier. Once you’ve logged into your account, either with a password or through your linked Facebook or Google+ account, you’ll see the option to open the web trader version of the demo account. You could also download the software version, but we’ll use the web trader for this brief introduction. As you can see, this demo account is packed with options, more than we are going to discuss in this simple BDSwiss review. Instead, we’ll refer you to the BDSwiss guide built right into the system itself. Simply clicking through these steps will take your through the finer points of trading on the BDSwiss platform. You’ll be given 10,000 imaginary Euros with which to learn the system. We’ll show you another example for good measure. See the second hint with the green #2? Keep clicking along and your BDSwiss account will guide you through the BDSwiss trading steps discussed in the BDSwiss Review Part 1. Now simply navigate to the cryptocurrencies portion of the trading platform. For this example we’ve chosen to show the Bitcoin/Euro currency pair, but there are other cryptocurrency/fiat currency pairs you could choose. As you can see, the BDSwiss trading interface is very simple. All you have to do is select your asset pair (upper left hand corner), the time at which you wish your new contract to expire, and the amount of money you are risking. The charts and information will show you recent prices. Then you just have to select “Call” or “Put”. A Call means that you think that Bitcoin will increase in value relative to the Euro, at the end of your specified time. If you select a Put, this means that you think the relative value of these two currencies will change in the Euro’s favor. All you have to do now is wait and hope. It doesn’t matter what happens to the Bitcoin/Euro value relationship in between now and the time your contract expires. All that matters is what the value is when your time runs out. As you can see, there is great risk involved, but the rewards are also very high. It’s important to note that your BDSwiss trading account balance can never fall below zero. If you have a trade that goes badly, you will never be expected to fund your account just to pay off your losses. This way, if you want to learn the ropes with money you could afford to lose, you won’t get in over your head. And who knows, you might make big profits! BDSwiss offers a number of order types to help users make the best possible trading decisions. Simple buy and sell orders are self-explanatory and have already been covered in this BDSwiss review. Here’s a short breakdown about how alternative trades work. Stop Orders: With a Stop order, you set your entry price. Your Stop order indicates your prediction that if/when the price hits your entry price, it will continue to rise or fall as it was when it hit the entry price. Limit Orders: Limit Orders are just the opposite. Your Limit Order indicates that if/when the price of the asset were to hit your entry price, it would then reverse direction. That’s a little confusing, so here are some examples of Stop and Limit Orders in Action. BUY-LIMIT ORDER (above): You think that when the price of your chosen asset (Bitcoin, for example) falls to your entry price, it will then stop its decline and start to rise in value again. BUY-STOP ORDER (above): If you think that the market is going to keep rising after it hits a certain value, you would choose a Buy-stop order that contains this information. SELL-LIMIT ORDER (above): If you think that a price is going to hit a threshold and then reverse its trajectory, you would select a sell-limit order. SELL-STOP ORDER (above): If you think a price is going to change directions after hitting a certain threshold, you would choose a sell-stop order. Anytime we start new financial accounts, there is a real concern for security. After all, your inputting a great deal of personal data and banking information. Fortunately, BDSwiss is secure and trustworthy. Without going into agonizing detail, BDSwiss uses the latest in encryption technology and does not share your information with third parties. For a full rundown, check this BDSwiss trading page. As for withdrawals, they are most easily completed with a simple bank transfer which works just like the bank transfer you used to make your first deposit. Withdrawals of more than 100 Euro are free. There are certain details about BDSwiss which don’t fit neatly into these other categories. We’ll try to give those some attention here before we conclude this BDSwiss review. Is there a BDSwiss App? There are a few BDSwiss apps, in fact! Each app offers a streamlined version of any trading form which you prefer (Forex, CFDs, etc.). Each app is available for iPhone and Android. They look great and function seamlessly, we might add. Which currencies are accepted for BDSwiss trading? Euro, Pounds Sterling, and United States Dollar. Is there any truth to the BDSwiss scam rumors? No matter the financial platform, there’s someone on the internet who will call it a scam. There is no truth to the BDSwiss scam rumors. BDSwiss has been in operation since 2012 and has demonstrated great integrity and security all the while. What is the minimum deposit? Because of variation in relative currency values, this is sometimes variable. Generally speaking, 200 units of your chosen currency (Pounds, Euros, Dollars) are all that’s required for a new account. Further deposits can be of any amount. Are the prices I see on BDSwiss accurate? Yes, all asset and currency prices are drawn from instantaneous feeds by Leverate and Reuters. Where is BDSwiss located? Despite the name, BDSwiss is incorporated in Cyprus. How is BDSwiss customer service? 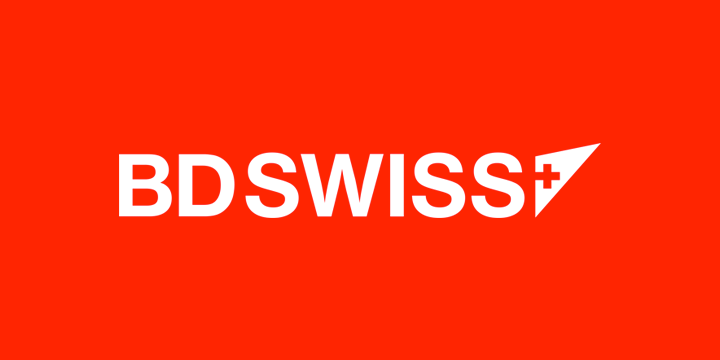 BDSwiss offers chat, email, and phone support in 5 languages. Due to excessive demand, customer support is sometimes spread thin, but stick with it. When you get someone on the line (which is usually easy), BDSwiss support is friendly and helpful. CFD and Forex trading are two of the best ways to get access to profits on Bitcoin, Ethereum, and other Cryptocurrencies, without the high cost of buying large positions in any one coin. Instead, CFDs and Forex allow users to make highly leveraged trades, while earning all the profit they would have had they actually purchased the underlying asset. It takes knowledge, experience, and research to correctly anticipate price value fluctuations to the degree of accuracy necessary for CFD and Forex trading. But if you can acquire this knowledge, not only will you make incredible returns, you’ll also learn how to be a great investor no matter what form of investment we’re talking about. There are risks involved. Just as you can earn leveraged gains, you can trigger “leveraged” losses which could eat up your entire account balance. But risk is inherent to all forms of investment. Once you understand CFDs and Forex, especially as they pertain to highly volatile assets like Bitcoin, you’ll start to see the incredible potential of this kind of trading. BDSwiss does CFD and Forex trading better than just about anyone. Not only are their web and software portals fast, intuitive, and accurate, their mobile apps make trading in one form or another even easier. BDSwiss is easy to fund and use, eliminating so many of the barriers to entry for new investors and crypto enthusiasts. Cryptocurrency CFDs and currency pairs are a brand new and exciting way to profit from the opportunities in these highly volatile markets. With BDSwiss, you won’t have all the buying, fee, storage, and selling responsibilities you would with conventional Bitcoin ownership. Instead, you’ll just have the earning potential. We recommend BDSwiss unreservedly for these purposes. Make your first BDSwiss login for your new BDSwiss account today. Start a BDSwiss demo account if you want to learn without risk, or dive right into full funded BDSwiss trades. We think you’ll be happy with either decision you make. Good luck and happy trading!